On November 27th, The Lebanon Veterans Administration had a Ribbon Cutting Ceremony and Open House at 212 Willow Valley Lakes Drive, Willow Street to celebrate the opening of their newest out- patient clinic in Lancaster. 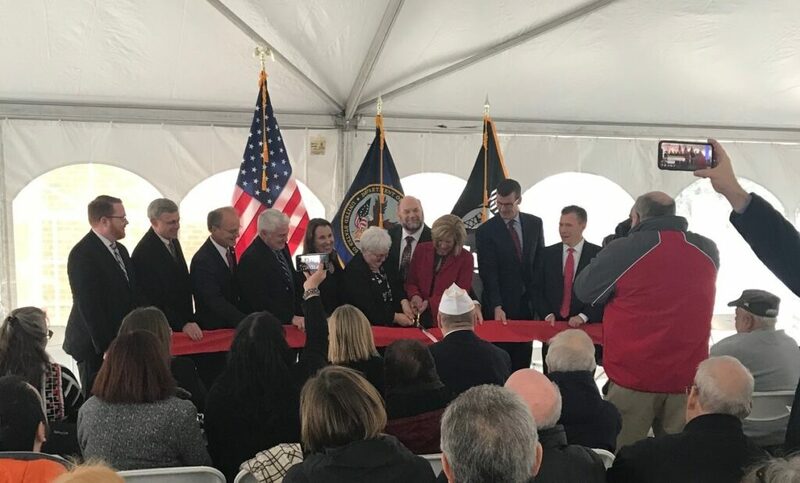 Many VA, WVA & local dignitaries were invited to attend and Diane Poillon was asked to assist with the ribbon cutting along with Helen Fanus a long time VA Nurse Manager who moved to the new clinic when it opened on December 10th. The new clinic is almost twice the size of the current clinic in Greenfield and is able to offer more services for our Veterans. Willow Valley is very happy to welcome them to our WV Lakes Business & Medical Center as they take the last available suite in our 212 building. Many Veterans from the Willow Valley Communities and people from the surrounding neighborhoods came by to tour the new clinic and to enroll for services.